This chapter in French Protestant history has haunted me since I learned of it. What troubles me most is the prolonged nature of the trial. When it comes to persecution, sharp but short can offer some consolation. But such is not the case with the women of the Tower of Constance. So, who are they? First, some context. In April 1598, Henry IV of France issued the Edict of Nantes. In the broadest sense, the decree laid the groundwork for religious toleration between Catholic’s and Protestants. Also known as Huguenots, French Protestants were permitted, for the first time, to exercise freedom of conscience with a degree of protection. With the Edict in effect, they were free to worship everywhere privately (some places publicly). They could inherit property, pursue education, engage in trade activity, and enjoy other civil rights. To a country ravaged by war it was a time of much-needed respite. That all changed in 1685 when Louis XIV issued the Edict of Fontainebleau, which, in the harshest terms possible, reversed the Edict of Nantes. It was ruthless. It called for the immediate demolition of any standing churches. Reformed pastors had two weeks to convert or leave the country. Protestant schools were outlawed; children were forcibly baptized and educated in the Catholic Church. A ban was also placed on emigration. Added to the horror were the infamous “Dragonnades,” organized soldiers who made their lodgings in Huguenot homes and who committed unspeakable atrocities in order to force them into conversion. It was a harrowing time for French Protestants. Despite the ban on emigration, many escaped to Switzerland, America, and other Protestant enclaves. But not everyone left. Some would remain and resist. This period of resistance, from 1685-1789, is called the “Desert.” It alludes to the 40 years of wilderness wandering of the children of Israel but also, in a literal sense, Protestants were forced to meet in the desert, in caves and other remote areas. Getting caught carried a high price. Men were condemned to the galleys; women were locked away in prison. 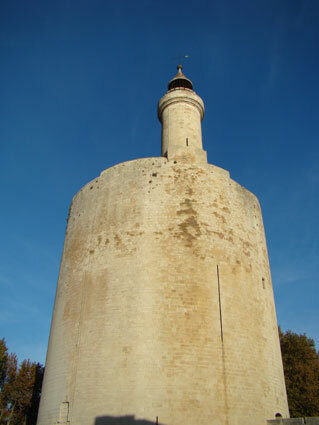 The most notorious is the Tower of Constance where, from 1685-1767, 130 women were “virtually entombed” alive for refusing to recant their faith. Originally constructed as a military lookout and lighthouse, the tower contains two large circular chambers, twenty-eight feet in diameter, one on top of the other. Light and air enter into the upper chamber through a six-foot diameter hole in the ceiling. The lower chamber receives its air and light only from the upper room through a similar hole in its ceiling. Only through these holes can smoke escape, and fresh air enter – and with that, cold snow and rain. So dark were the rooms that at time of their release, many were blind. The women held captive within the sixteen feet thick walls were guilty of attending a Reformed service, opening their homes for a meeting or, as in the case of Marie Neviliard, having a Protestant minister officiate their wedding. Imprisoned were women like Isabeau Menet who, seized while celebrating the Lord’s Supper alongside her husband, gave birth in the Tower. Her child was promptly snatched away to be raised Catholic. There was Marie Berand, a blind missionary, violently removed from her home, and who died in the tower at 80. There was Marie Rey, separated from her children and condemned to the Tower for participating in a Reformed service. The most famous of the prisoners is Marie Durand who came from a family of devoted Protestants. 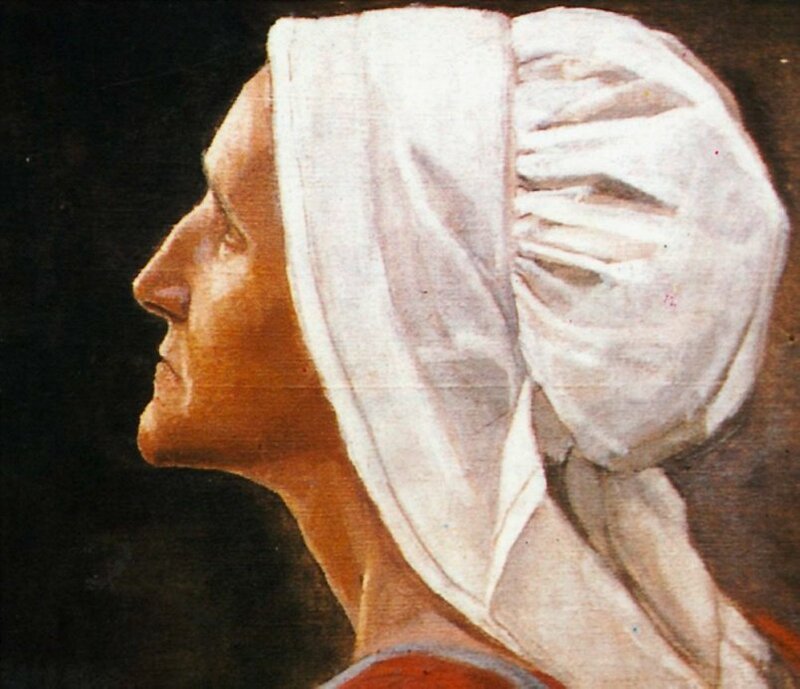 Marie’s mother Glaudine, died after her arrest for attending a secret Protestant service. Marie’s brother Pierre, a “Desert Preacher” was apparently very good at – not just preaching but evading the authorities! Frustrated by their inability to capture the firebrand, an evil plan was concocted to entrap him. First they would arrest Etienne, Pierre’s elderly father. Then they would arrest Marie. In a last-ditch effort to protect his daughter, Etienne arranged for her to marry Matthew Seres. But not even the protective heart of a loving father could hold back the Providence of God. 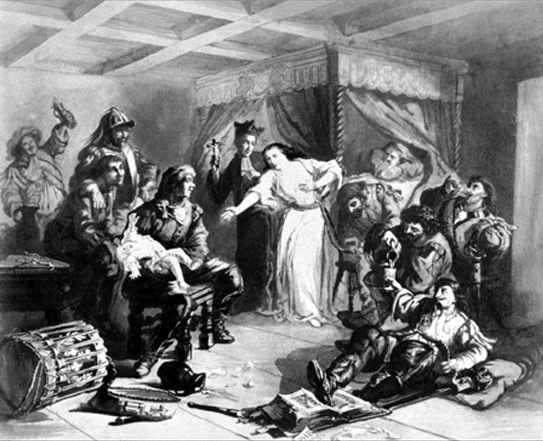 Shortly after Etienne was arrested, the newlyweds were captured. Matthew was condemned to the galleys with his father-in-law, where they both died. 15-year old Marie was cast into the Tower. Two years later, Pierre was caught and hanged. She spelled this word as she used to hear it pronounced in the sweet dialect of her province, putting a c for an s. She had not acquired her French at the court of a bourbon; but she had learnt religion at the school of Christ, and that religion had taught her that there is a higher law than that which monarchs sometimes try to impose upon their subjects, and that truly divine law then says, ‘Resist’. The women of the Tower of Constance were set free at last. Still, what had they to return to? The flower of their youth was no more, their property destroyed, their families dead. If ever there were a trial to question the good of, would this not be it? Bereft of all the fleeting comforts and pleasures of this temporal life, the women of the Tower of Constance possessed something better: Christ. And for them was laid in store “the crown of life, which God has promised to those who love him” (James 1:12). Good, James I. Famous Women of the Reformed Church. Birmingham: Solid Ground Christian Books. July 23, 2007: 245. Good, James I. Famous Women of the Reformed Church. Birmingham: Solid Ground Christian Books. July 23, 2007: 250. Clark, Jessica. Leben: A Journal of Reformation Life: Volume 3, Issue 1. Marie Durand: Prisoner of Conscience. Wow! What a horrific trial these poor women endured. Surely, their eternal rewards will be great. Thank you Christina for sharing this with us. Christina, you are a gifted writer and I have enjoyed looking around your blog! I am going to tell Alex to check it out. I know he would be interested to see it as he is also a blogger. God bless you as you share your gift with others!! !